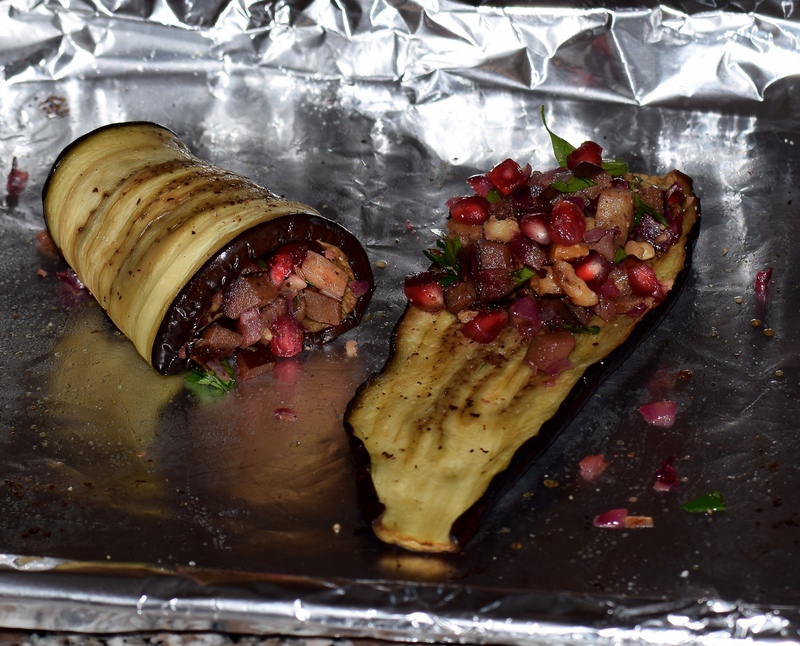 Pomegranate & Walnut Stuffed Aubergine (Eggplant) Rolls – Veganuary Special! I wanted to continue the Middle Eastern theme this weekend following on from my co blogger’s fantastic chicken and rice recipe. A friend’s teenage daughter has recently become vegan and it is also Veganuary. This recipe is from Honey & Co.’s award winning “Food from the Middle East” book which I have tweaked slightly to serve two. Honey & Co. is a fabulous Middle Eastern restaurant in Central London. 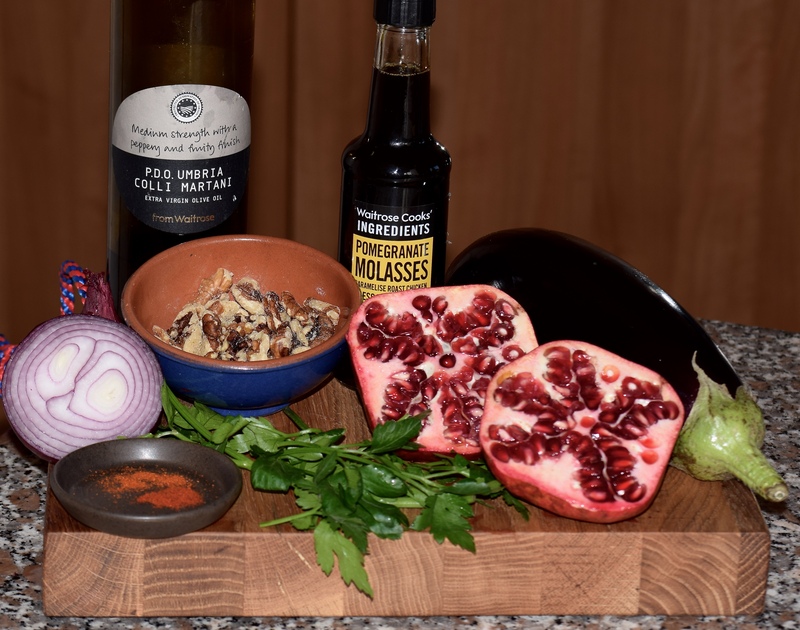 I was lucky enough to hear Sarit & Itamar, the founders talk about their food journey last year at a food event organised by Julia Platt-Leonard from the legendary cook shop Divertimenti, London. 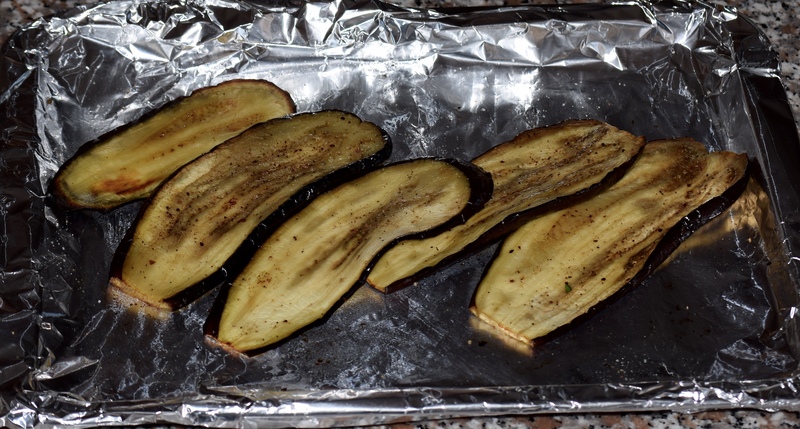 Slice the aubergines(eggplants) lengthwise about 0.75 cm (0.3 inch) thick. Keep the outer slices with skin for the filling. 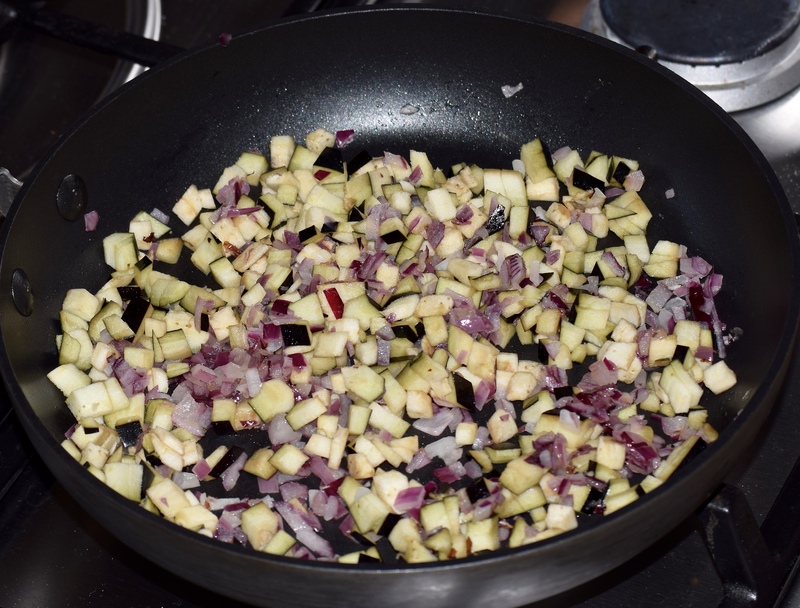 Cook the chopped red onion in a tablespoon of olive oil on a low/medium heat until soft. 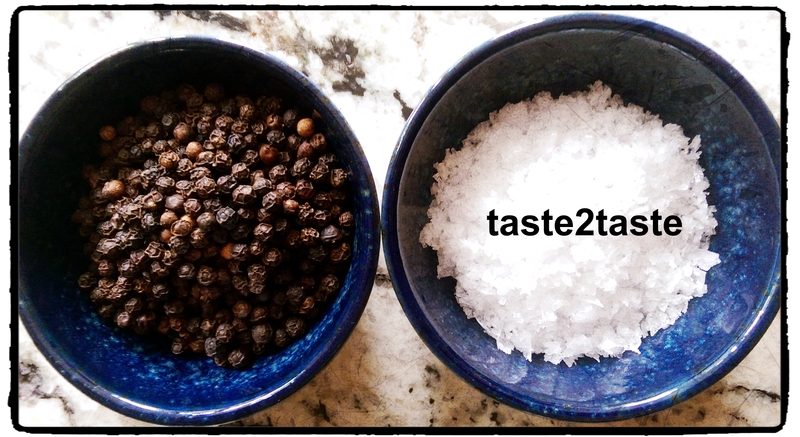 Stuffing prepared – let’s get rolling! 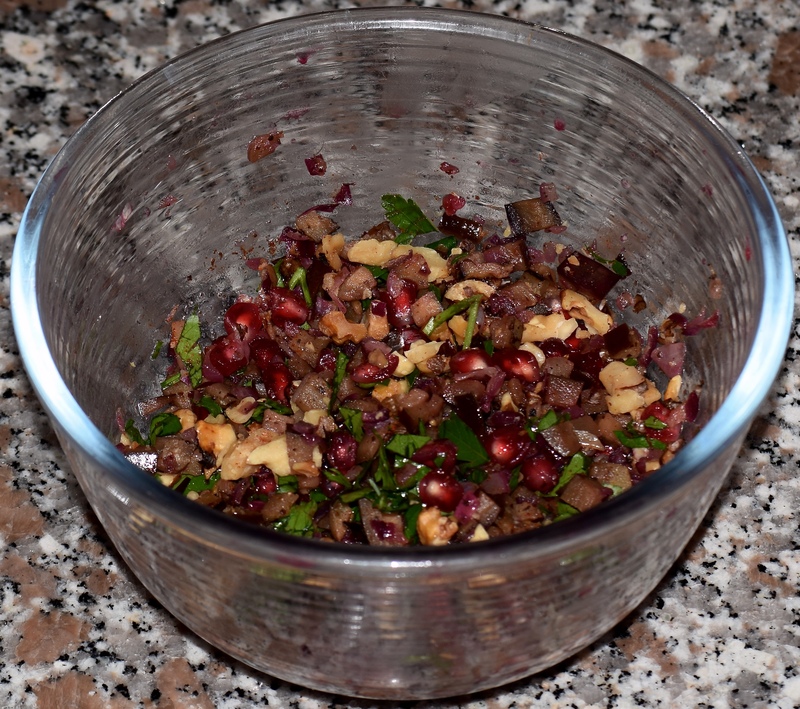 To serve scatter the reserved pomegranate seeds and toasted chopped walnuts. Deliciously healthy & a Veganuary special! Looks divine, nice and healthy for January too! I love the honey & Co books and really want to go to the Restaurant someday, have you been? I love this recipe and need to try making it very soon! Hi Petra thanks for your comments. This dish looks and tastes great and would be a good one to cook for friends round for dinner. Works well with a spinach salad dressed with a dressing made with olive oil, lemon juice and a teaspoon of tahini. Enjoy!